SERPSTAT is one of the leading SEO tool comparable or rather equally superior to the SEMrush and Ahrefs which are highly used and recommended by top SEO experts. As the digital marketing sector is growing exponentially, we all being digital marketers do need such a strong competitor analysis tool to win the race, isn’t it? There are many interesting features about the SERPSTAT growth hacking tool which have impressed me like many other SEO professionals. The best part is its amazing UI and user friendliness. Moreover, it tracks key SEO metrics in real time, audit backlinks efficiently and get out of sight look at your top performing competitors. SERPSTAT is now considered to be on top of the list of a keyword research tool and site audit tool which adds great value to your SEO campaigns. 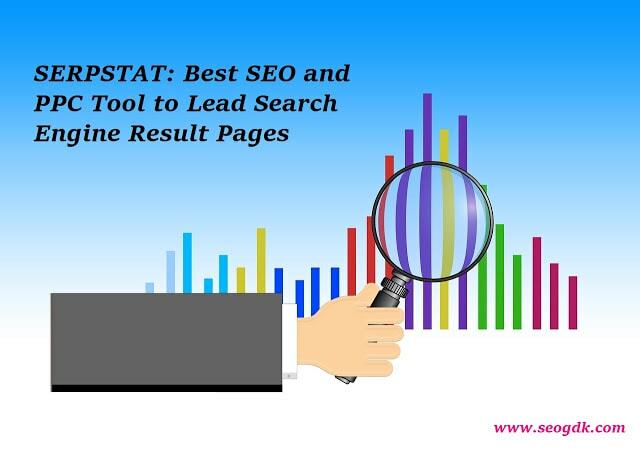 SERPSTAT was founded in 2013 when it was mainly used as a keyword research tool but it has now turned into fully developed SEO as well as PPC analysis product. Their keyword database which comprises 100 million keywords, 200 million search suggestions, and 180 million ads is comparable to big players like MOZ and SEMrush. More than 30,000 digital marketing practitioners worldwide are using this SEO tool successfully. Here I am listing a few of the features that make SERPSTAT stand high in the list of rank tracking software? 1. SEO research where, position tracking, domain vs domain comparison, top competitors identification, competitor’s top organic pages recognition, and a tree-view of keywords a site ranks for is involved. 2. PPC research which shows you data related to keywords that are searched, competitors for that keyword, ad research and ad examples. This helps to explore your top competitors’ PPC strategies and make out gaps in your own PPC campaigns. 3. Batch Analysis compares metrics of up to 200 domains at a time speedily. Few of these key metrics include traffic estimate, new keywords, total keywords, lost keywords, etc. 4. Chart or Infographic displays several charts consisting of your site’s visibility, search traffic, organic keywords, ads, etc. URL analysis, on the other hand, covers; keyword ranking and its position on Google, list of competitors including their number of Facebook shares, discover common keywords between 2 URLs, missing keyword for which competitor is ranking well. With this feature, you get details about keyword selection reports (matched keywords), cluster research (LSI keywords), top pages, search suggestions, and competitors. Moreover, you can also get a list of paid keywords, a list of competitors for the paid keywords, ad examples, and ad research reports. Reflects top 100 results for an organic and paid search. It gives search suggestions for the search questions which helps content marketing. It is now quite easy with this SEO platform for professionals to analyze your link profile and your competitors’ backlink profiles. You can reveal your competitor’s link building strategies and get ideas to build your backlinks. Additionally, there are lot more things inside such as backlink dashboard, referring domains, new backlinks, anchors, top pages etc. With this, you can analyze search engine rankings for keywords with respect to positions, history, daily ranking updates, competitors and local search. You can improve your website’s overall SEO score with this all-inclusive site audit which includes meta tags, headings, redirects, accessibility and indexation, links, server parameters, and loading speed. SERPSTAT competitor analysis tool has special elements or filters that range from rich snippets, knowledge graph, also, ask for questions, shopping, goods, local maps, videos & images, calculators, to special blocks. You may think that SEO tool having such a bundle of features would be difficult to use but you could be absolutely wrong over here. To know the same you can sign up for the SERPSTAT’s free plan. If you have already used any other SEO tool before, then you will easily catch up with this one and get used to it. The well-designed, user-friendly and intuitive interface makes this SEO tool dominating. Not to mention, SERPSTAT team is right there for customer support like other successful competitors. Now comes the SERPSTAT’s pricing which will make you even happier. Unlike other renowned SEO tools, SERPSTAT pricing could be in your budget. If you are a beginner, then you should surely go for any of their plans which are reasonably priced and start at $19/month. Forever free plan also allows you 30 searches and audit 100 pages for a month. As this one is a comparatively new tool, reviews and feedbacks are hardly posted. But if you are having a tool that provides you with precise data for keywords and backlinks which will surely drive traffic to your website then will you deny using the same? So, you should give a try to SERPSTAT and perform hassle-free keyword research, PPC analysis, and competitor research. 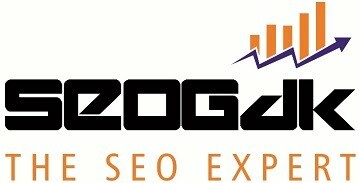 Wow, Good knowledge provide SEO Related your Blog for Begginer. Keep sharing more blogs. Thanks Saurav for your valuable feedback about this blog and glad to know you found SEOGDK informative...Hope to see you around here again...Have a nice day...!! !